In the mobile patrol or alarm response business? If your firm offers patrols and guards amongst its services, you may well receive jobs from other security companies – either monitoring centres or other security providers. You probably then send these jobs to your firm’s own patrols or to subcontractors. With Sendem, you can now automate this process from beginning to end, resulting in massive quantitative and qualitative gains. Drastically improve your KPIs with the same staff. Sendem systems free up operators’ non-productive time. Get your staff to work on added value work! Automating job exchanges with job requesters and patrolmen (or subcontractors) not only enhances your productivity but also helps reduce response times. Monitoring centres contribute to this process as well. Once Sendem solutions are in place, your ability to fulfill your SLAs increases exponentially. Don’t let performance clauses shrink your profit! Typical disagreements over details such as on/off site times and site address are eradicated completely when using Sendem solutions. 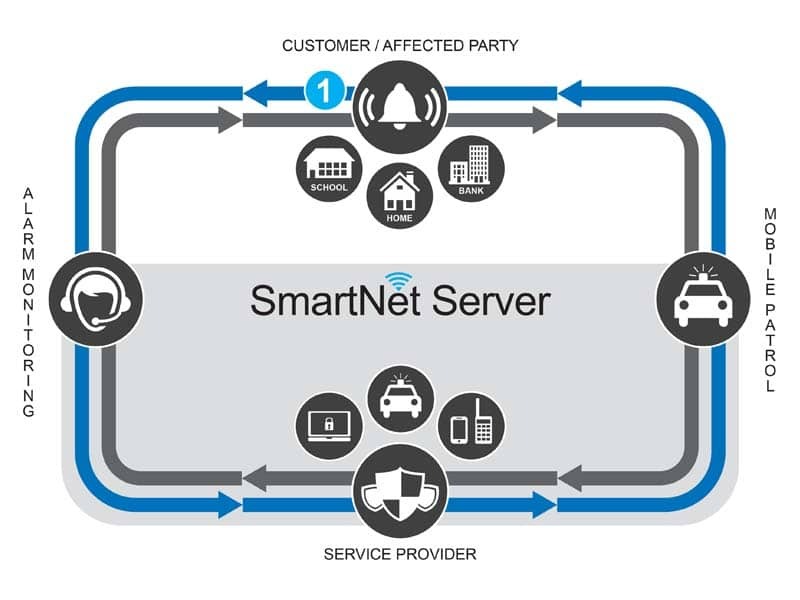 As the monitoring centre and the service provider use the same platform, the information is the same in both systems, leaving no room for disagreements. Straight to a free trial!